Have I been doing it wrong all these years? I don’t exactly know where my inspiration came from to volunteer. I’ve always been the type of person to watch documentaries on starving children in Africa, feel absolutely heartbroken and vow to make a donation in the next ad break. But I don’t. I continue sitting on my couch, crying into my ice cream and feeling sad. The documentary finishes, ‘The Amazing Race’ comes on and I forget all about those starving children in Africa. A year or so ago, in typical Hayley style, I started developing that familiar itch to travel again. I’ve been an obsessive traveller since I was 21 and have travelled to over 25 countries. Now, at 29 years old, something had changed in the way I wanted to travel. I didn’t just want to watch a country go by as I looked out the window of a comfortable air-conditioned tour bus, hopping off intermittently to snap the obligatory photo of some pretty mountain. I wanted to get amongst it all. I wanted to help people. And I wanted to stop saying “one day I will” and just do it. When planning my trip I stumbled across IVHQ, a New Zealand based organisation with volunteering projects all around the world. I was instantly hooked and applied for projects in Kenya and Mexico, two of the countries I planned to visit on my yearlong overseas holiday. I was accepted into both. Was I terrified I’d bitten off more than I could chew? YES… but I went anyway. First stop.. Kenya. After orientation and a few days to catch my breath I was catapulted into what felt like an alternate universe. My job for the next month was to consult with pregnant mothers, assist in births, help sick babies and provide first aid and family planning classes to those who couldn’t afford to seek help elsewhere. It seemed like every patient I saw was suffering from extreme poverty and starvation, and most of the women were HIV positive. On my second day at the clinic I sat in a room with a pregnant mother of three while she waited for the results of the HIV test we’d just given her. It was an intense five minutes and something I will remember for the rest of my life. You don’t get that experience sitting on an air-conditioned tour bus. Fast forward three months to Cuernavaca, Mexico. It was to be my home for the next two months while I volunteered with Casa Hoy, a local organisation passionate about helping the community. They offer a variety of projects including teaching English, child care, environmental, animal welfare and computer assistance. I learned that I would be volunteering in a foster home for children whose parents were in prison or too unfit to look after them. There were 29 children at the home, aged between 1 and 5 years old. And boy did I fall in love with each and every one of them. There were many defining moments during those two months at the home. Those secret ‘high five’ moments that make you feel all warm and fuzzy inside. But my most memorable was Clara*. Clara is 2 years old and lives at the home. She never smiled or laughed, never played with the other children and seemed to be in her own little world most of the time. I often wondered what kind of life she had led to make her like this. So, every day I would pay special attention to Clara – lots of playing, giving her cuddles, helping her with her lunch and just generally making her feel loved. The defining moment came about a month into my project when Clara finally smiled at me. Next came the laughter, interaction with the other kids and she even started sitting on my lap without being prompted. Success. To be honest, sometimes I questioned myself about why I was here spending my free time with these children when I could be at home playing with my three beautiful nieces. This was why. These defining moments. I will never forget Clara or my time spent at the foster home. By the time I turn 30 (in 5 months eeek!) I will have travelled to 33 different countries. Did I love visiting those countries and seeing them through the window of my tour bus? Yes I did. But my time spent in Kenya and Mexico created a whole new depth of appreciation and love for the country and its people. Feeling that sense of family and belonging. Exchanging daily “hola’s” with the laundry lady and the man at the corner store. Getting involved in the community and helping people, even if it’s just by making them smile. Volunteering changed the way I want to travel. It took me 9 years and 33 countries but I got there in the end. I got off the couch. Hello, I love your article. 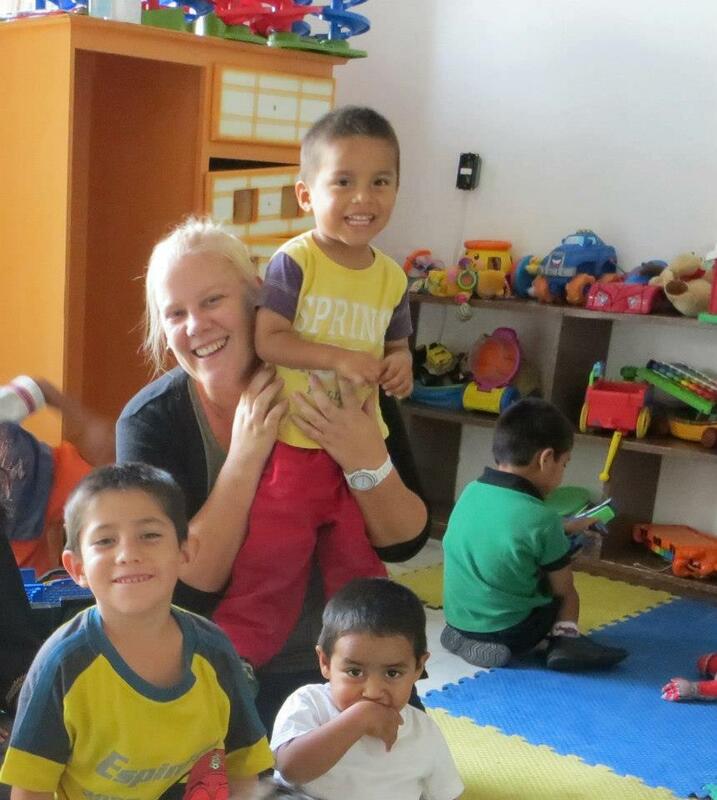 I want to volunteer in Mexico through Casa Hoy too and want to know the details of the package. Please let me know if you would be willing to talk to me. Thank you.